Winning in Fantasy Baseball isn't as hard as you think. While you can't avoid the "dumb-luck" factor (see also: "injury bug"), you can approach fantasy baseball with several, different winning draft strategies. Simple mathematics and probability may be your best approach, or simply knowing your opponents and how they draft every year can also be a huge advantage on draft day. 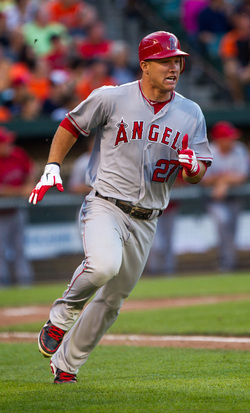 Mike Trout is the perennial 1st-overall pick, but should he be? It all depends on your draft strategy. This is the most-common draft strategy, and it makes sense when you look at fantasy numbers as a whole. The math is simple: A home run gives you a boost in RBI, Runs batting average, and, of course, Home Runs. Also, if you’re in a custom-scoring league, a home run can give your team an edge in slugging %, Hits, OBP or whatever other categories you guys keep in your league. The downfall of this draft strategy is that it’s the most-common strategy out there, which means the competition to get the best home run hitters is pretty stiff. You might go into your draft thinking you’re going to get Jose Bautista for sure, or Chris Davis, or even a sweet deal on Albert Pujols in the later rounds… then the other meatheads in your league with the same draft strategy ruin your roster by taking all the players you had your eyes on. So long as Jose Bautista is healthy, he's one of your best power-hitting options. NOTE: instead of looking solely at power hitters, go after the guys who are serious 30-30 threats (Mike Trout, Carlos Gomez, or even Ryan Braun, if you dare), or even 20/20 threats (AJ Pollock, Paul Goldschmidt, Andrew McCutchen, etc.). Remember that Stolen Bases are weighted as being just as important in fantasy leagues as every other category, so drafting a 30/30 guy or a 20/20 guy can make a big difference on a week-to-week basis. Very often, one extra stolen base is the difference in winning the stolen bases category, too, even if you only win it 2-1. Goldschmidt finally stole 30+ bases, but didn't hit 30 HR. He may go 30/30 this year. The strategy of drafting dominant pitching first, then hoarding all the speed demons later has been in style the past 5 years or so, although it took a lot of fantasy owners a while to catch on (and now we think it might be too late to cash in with this draft strategy). We were ahead of the curve, drafting Tim Lincecum with the #1 overall pick in 2009 and the strategy paid off as we won that particular (12-team) league, with the #12 draft pick, I might add. Remember this was 2009, so don’t laugh, but we drafted Lincecum 1st, then Johan Santana 2nd, Joe Nathan 3rd, Brandon Webb 4th, then we finally drafted a position player, Troy Tulowitzki, with our 5th overall pick. And get this: we even managed to get Justin Verlander in the 12th round (that was his first relatively-dominant season). Along with all these pitchers, we were relegated to drafting a bunch of base-stealing slap-hitters to round out our offense. We were confident that we would sweep the majority of the pitching categories every week, so we went with speed on offense, dominating in stolen bases, runs scored and fairly-consistently winning batting average as well. This strategy led to a fantasy championship, and, depending on how your buddies draft their teams in your league this season, it could very well work for you, too. Drafting a team around reliable, dominant pitchers and a roster full of base-stealers is a proven strategy, so long as your pitchers stay healthy... and dominant, of course. When you break this speed-and-pitching strategy down mathematically, you only have to win 6-4 each week in a 5x5, head-to-head league, so we wrote off HR and RBI for sure each week. We even traded away a couple of power-hitting goons in favor of some leadoff guys who couldn’t crack the starting lineup on another team in the league. Because of this strategy, we watched all the other teams fight over HR and RBI each week while we sped past them on slap-hitting base-stealers, and dominant, reliable, solid pitching… Whitey Herzog would be proud. We were also pretty fortunate to avoid a significant injury bug with our pitching staff that season, but that was really the only danger we faced. Plus, we hoarded so many dominant pitching arms, that we could have absorbed one or two injuries in our pitching rotation. Now, however, the class of elite pitchers is much thinner, but the class of well-above-average pitchers is full of great arms, young and old. There are a lot of above-average pitchers in baseball right now, so this strategy is less-likely to be as effective as it was even 1 or 2 seasons ago. It could be that the steroid era is officially over and good pitching is back, or it could just be that the good-pitching curve has come back around to the league to, once again, showcase the old adage that good pitching (still) beats good hitting. Depending on the dummies in your fantasy league, this strategy could still work, but you have to go at this whole-heartedly. When you go to draft guys, you have to avoid the temptation to take a power hitter over a guy who scores runs and steals bags. Especially during the season when you go to scour the waiver wires, you need to sort players by runs first, then by stolen bases, totally ignoring HR and RBI - and even ignoring batting average, to some extent. You have to be willing to drop a power hitter for a slap-hitter without worrying about whether the team chasing you in the standings is gonna pick him up. Remember: you have written off HR and RBI with this strategy and you only have to win 6-4 every week in a 5x5 league. Win 4 or 5 pitching categories, then win 1 or 2 offensive categories (runs and stolen bases). Your fantasy players won't be in a lot of SportsCenter highlights, but you'll have a good shot at winning your league. You'll also have a good shot of having a ton of smack-talk thrown at you for having a crappy team... but you'll know the difference. You'll know better. And when you win with this strategy, like we did, they'll know it, too. Believe it or not, taking a look at a batter's walks-to-strikeouts ratio is a good indicator of a players consistency, despite neither stat playing a part in your standard 5x5 fantasy league. Typically, batters who walk a lot are guys who fill up the box score consistently day in, day out, week after week. The guys who strike out a ton and rarely walk are the ones who frustrate you to no end. They're the ones who go on slumps for 2 weeks at a time, just long enough for you to take them out of your lineup... then, of course, the instant they hit your bench, they jack 2 home runs, a double, score 3 runs and drive in 5 RBI. Then you put them back in... just in time to see them get fanned 3 times in an 0-fer night against the Marlins #5 spot starter. If you insist on drafting power-hitting goons who strike out a ton, be prepared to leave them in your lineup every damned day, and just forget all about them. Just leave them in and let it ride, otherwise, you'll end up cashing in on 12 home runs out of his season-long 30 when all the knee-jerk-reaction benchings take place over the course of the season. The walks-to-strikeouts ratio is an indication of a patient hitter who is going to see more pitches and will, therefore, get more good pitches to hit by sheer numbers alone. Guys who lead this list from last season include Buster Posey (56 walks, 52 strikeouts in 150 games; 1.08 walks-to-strikeout ratio); Michael Brantley was even better (60BB / 51 K; 1.18 ratio); Joey Votto, Ben Zobrist and Jose Bautista were the other guys with significant playing time who ended up with a walks-to-strikeouts ratio of over 1.00, and those are all guys you want on your team this season. This, my fantasy-nerd friends, is no coincidence. These are guys who produce night in and night out, and they rarely go into slumps. Just to pile on this a little more: Bryce Harper (who is likely to be the top player taken in your draft this season) had a ratio of 0.95 (124 walks:131 Ks), and Miguel Cabrera, while playing through an injury-plagued season - had a ratio of 0.94 (77:82). Fun fact: everyone's favorite player of all time, Barry Bonds, had a walks-to-strikeouts ratio of 1.66 (2558 walks to 1539 strikeouts over his 22-year career). His best season for this was a ridiculous and never-to-be-seen-again 5.66 (232 walks to 41 walks in 147 games played). Anyway, you get the point. Draft guys who walk almost as much as they strike out (by today's ratio standards) and you'll find out that these guys rarely slump. In regard to this strategy, these days, there aren’t that many hard-to-fill positions in fantasy baseball, anymore. Traditionally, shortstop and catcher were always relatively hard to fill, but now you have Carlos Correa, Troy Tulowitzki, Francisco Lindor, Xander Bogaerts, Jose Reyes, Ian Desmond – and that’s just the start of the list. At Catcher, there’s Buster Posey, Kyle Schwarber (while he qualifies), Salvador Perez, Travis d'Arnaud, Yan Gomes, … the list goes on and on, and pretty much every position is well-spoken for in terms of solid, fantasy-roster-worthy players. 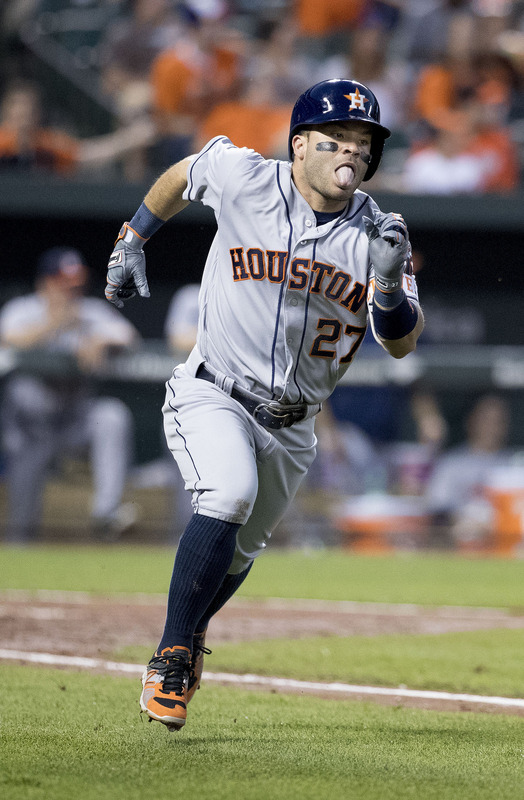 Second base is probably the toughest position to fill, but with the exception of Robinson Cano, Jose Altuve and maybe Brian Dozier, none of them are really worth a 1st- or 2nd-round pick, nor are most of them worth an exorbitant price in an auction draft. While Brian Dozier went later in your draft (or for much less money in an auction draft), he out-performed Robinson Cano significantly in Runs, HR and Stolen Bases; they were about a draw in RBI. The only thing Robinson Cano did better than Brian Dozier for fantasy teams last year was hit for a higher average - certainly not worth the top-3 pick, let alone the hefty, panicked price tag. Look at our fantasy rankings for 2016 and really examine the depth of the players on the list. Also, look at players in other positions who may be able to pick up the slack for you. If, let's say, there's no one left on the list of available second basemen worth your current pick, look at the other lists to find someone who may give you the stats you need. Regardless, don't just draft a guy because he plays a hard-to-fill position. It's rarely worth it and it can be a season-destroying mistake. Show of hands: how many of you out there are sick of hearing the (largely-idiotic) argument that one guy is better than another guy because he "has a ring"? Yeah, same here. Only because it's an idiotic argument, though. 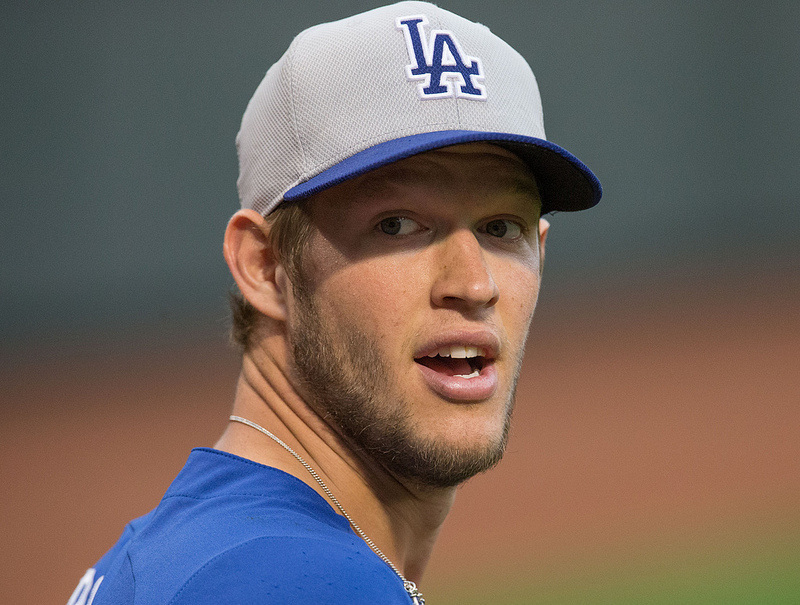 Clayton Kershaw is the best pitcher in baseball right now. There's not a lot of argument about that, but that's not the point. Along those lines, Max Scherzer may be the second-best pitcher in baseball. But let's not forget about the third-best pitcher in baseball, Colby Lewis... wait... whaaaa?! Clearly, Colby Lewis did not help fantasy teams nearly as much as Kershaw or Scherzer, yet he won more games. By the way, this kind of thing happens every year, so don't be fooled into thinking that Wins = great stats. Break this down to the most-basic level: a fantasy pitcher's WHIP is an indication of how many runners he allows on base. Breaking this down further, if a team can't get on base against you, they can't score. Are there cases of bad (or good) luck? Of course. Guys like Gio Gonzalez and James Shields can't freakin' sleep at night unless they load the bases and get out of a jam every time they pitch. But a pitcher's WHIP is still the best indicator of a fantasy pitcher's overall reliability to not kill you week after week. A pitcher's WHIP is generally tied to his ERA, again, because if no one's on base, they can't score runs. The wins, however, are more of an indication of how good the pitcher's team is, in most cases. As an example, Bob Welch went 27-6 in 1990 for the Oakland A's with a 2.95 ERA, 1.22 WHIP and 4.8 K/9. Respectable numbers, of course, but the A's won 103 games that season. Cliff Lee, on the other hand, went just 14-8 for the Phillies in 2013 with a 2.87 ERA, 1.01 WHIP and 9.0 K/9 (the Phillies only won 73 games in 2013). 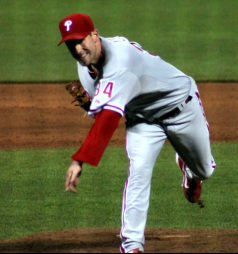 Clearly, Cliff Lee's stats that season helpedfantasy teams across the board a lot more than Welch's would have. True, you'd sacrifice wins for the other stats, but winning three stats is better than winning one. Looking at a pitcher's WHIP is the best indication of how well you can expect him to pitch every time out. If a pitcher's WHIP is over 1.25, it's time to shop around for someone better, regardless of the wins category. Likewise, when you're looking at Closers, try to keep the WHIP under 1.10 if at all possible, and keep scouring the waiver wires for new Closers in May and June once the original, experimental Closers fail early in the season.